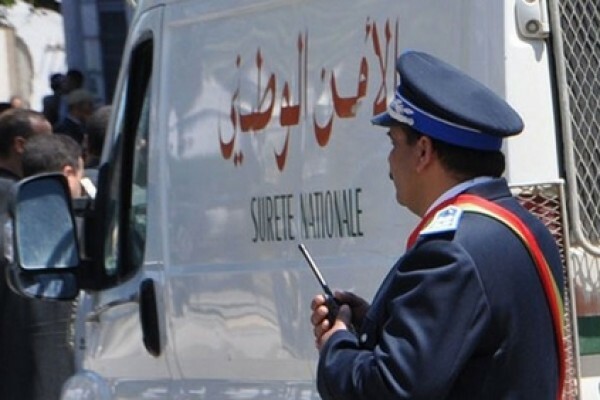 The United Nations Office of Drugs and Crime (UNODC) uncovered in its latest report 2012 that Morocco is no longer the world’s largest producer of hashish in the world. 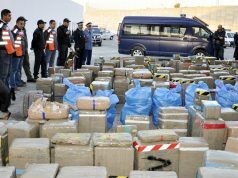 The UNODC issued a report concerning drugs and crime in which Morocco seems to be losing ground to Afghanistan, which is becoming the world’s largest producers of cannabis resin. The reports confirmed that Europe is the largest market for Moroccan cannabis. However, new competitors from Afghanistan and India have made recently their entry to the European market. “The majority of North African cannabis resin consumed in Europe traditionally comes from Morocco but recent data show that the relative importance of that source country could be on the decline, whereas the relative importance of other countries, such as Afghanistan and India, is on the increase,” says the report. 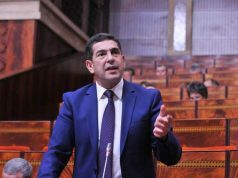 The report highlighted also the efforts made by the Moroccan government to reduce the cultivation of cannabis in Morocco. The lands productivity in Afghanistan remains higher than in Morocco. 128 kg of cannabis per Hectare are produced in Afghanistan, whereas Morocco produces 48 Kg of cannabis per hectare. The United Nations Office of Drugs and Crime (UNODC) reported in its survey of cannabis cultivation in Morocco that the crop is providing incomes for nearly 100,000 peasant farms and 800,000 people. 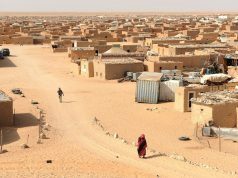 “In the past 20 years, cannabis cultivation has spread from the traditional areas in the central Rif, where it has been grown since the 15th century, to new areas,” UNDOC reported. UN officials point out that cannabis risks corrupting the social and economic structure and compromising any prospects of sustainable development in the areas where it is produced. Moreover, they ascribe the boom in Moroccan cannabis production to the spectacular expansion of drug consumption” in Europe since the 1970s. A survey conducted in 2004 by the UNODC estimated cannabis cultivation to 120,500 hectares with a decrease of 10% compared to 2003. 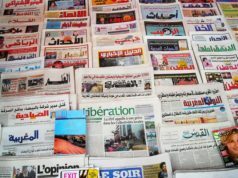 The most important decreases took place in the provinces of Al Hoceima (-54%) and Taounate (-43%) while a smaller decrease was noted in the province of Larache (- 1%). These decreases are attributed to outreach activities by the local administration. On the other hand Cannabis cultivation increased significantly in the provinces of Tetouan (+19%) and Chefchaouen (+13%). 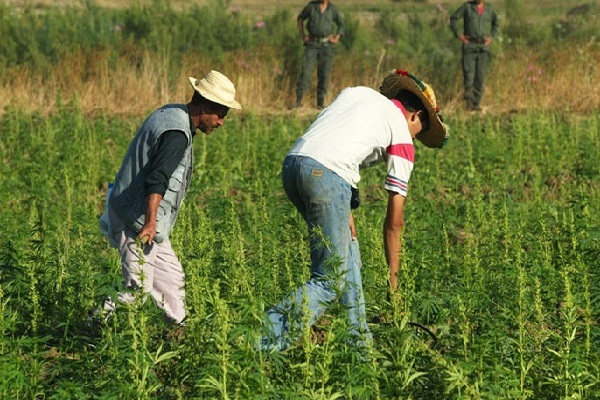 The 2004 reported pinpointed also that 62% of cannabis cultivation is concentrated in the province of Chefchaouen. Though used for medicinal purposes contained in its fiber, seeds and seed oil, the cannabis plant is more known as a recreational drug. Hashish is a cannabis production composed of stalked resin collected from the unfertilized buds of the cannabis plant. The psychoactive effects of cannabis include a primary state of relaxation known as Euphoria followed by a state of philosophical thinking among cases of anxiety and paranoia.